Jae Crowder might not be named in the list of any basketball enthusiasts top 5 NBA players, however, that takes nothing away from his talent as he is the dream player of any coach due to his good all-around play and ability to play any position on the court. Read on to find out more about his journey to the NBA as well as his personal life. On the 6th of July, 1990, Corey Jae Crowder was born in Villa Rica, Georgia. From a very young age, due to his athletic ability and presence of a professional sport playing father, Crowder was heavily involved in sporting activities. As a student at Villa Rica High School, Crowder played as both starting quarterback and starting point guard on the school’s football and basketball teams. After graduating high school, Crowder was offered scholarships to play football in college but he, however, wanted to focus on playing basketball. He then enrolled at South Georgia Technical College where he played for just one season before transferring to Howard College. In his freshman year at South Georgia Tech, Crowder was named Georgia Junior College Athletic Association Player of the Year after he led his school to their first ever NJCAA tournament appearance. He carried his good form to Howard where he averaged 18.9 points, 9.0 rebounds, 2.5 assists and 2.4 steals per game to be named the Junior College Player of the Year after he led the school to its first-ever NJCAA Men’s Division I title. Jae Crowder again found himself on the move after his sophomore year as he transferred to Marquette University. In his first year at Marquette, he averaged 11.8 points and 6.8 rebounds. The following year, which was his final collegiate basketball season, Crowder averaged 17.5 points and 8.4 rebounds per game after which he was named Big East Player of the Year and made the AP Second-Team All American selection. Jae Crowder’s next move was to enter the 2012 NBA Draft where he was selected by the Cleveland Cavaliers with the 34th overall pick. In the same night, however, Crowder was traded to the Dallas Mavericks who he signed a two-year contract with. He ended up spending two and a half seasons in Dallas before he was traded to the Boston Celtics in December 2014. He enjoyed good form in Boston which led to the team rewarding him with a five-year contract worth $35 million. In 2017, however, he was traded to the Cavs who again traded him a few months later to the Utah Jazz in February 2018. Jae Crowder was born to Helen Thompson and Corey Crowder, a former professional basketball player who played most of his career in Europe although he also featured for two NBA teams; the Utah Jazz and San Antonio Spurs. From both his parents, Crowder has seven siblings. In August 2017, he announced the passing of his mother following a long battle with cancer. He said his mother passed away just five minutes after he told her he was surprisingly being traded by the Celtics to the Cavaliers. 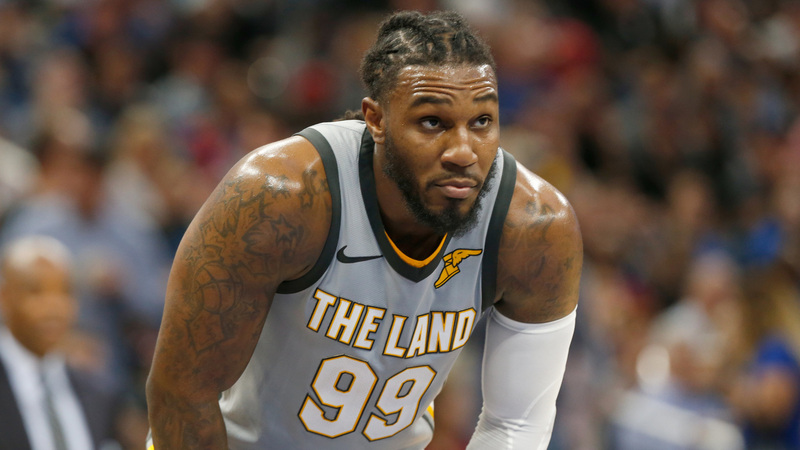 Jae Crowder is not married but has however been in a long-term relationship with Dana Lambert, the mother of his daughter, Jada. Lambert is the co-founder of the Backboard Baby blog where mothers from all around the world come to share their individual stories and experiences in raising kids. She is also popularly known as being the ex-girlfriend of one-time NBA MVP Derrick Rose. The two reportedly dated in high school and the early stages of his career before parting ways. It is not clear if Crowder and Lambert are still dating after both parties made the headlines in September 2018 following a series of social media posts where they accused each other of cheating. Crowder kicked off the episode by first calling Lambert out with a post that said she was sneaking around with his colleague, Philadelphia 76ers forward Robert Covington. Dana Lambert fired back immediately by airing some of Crowder’s dirty laundry as she threatened to reveal more which she said would implicate his married teammates. This is not the first time the couple has taken their issues to social media. Back in 2015, Lambert got hold of Crowder’s Instagram account and posted a woman’s picture who he was allegedly cheating on her with. The move led to Crowder deleting that particular account.